Web Design in the present day scenario is a cluster of services delivered based on the specific requirements shared by the clients, we take care of all the diverse requirements in this area. No company or business can imagine its existence without having a website to showcase its products, services and differentiators to make a clear pitch to its prospective customers. They judge your business acumen and quality of standards based on how you represent your business for which website is the best avenue in many ways. It’s like a credible face of your business that becomes the basis for reputation management and online marketing. With all the business processes slowly migrating onto the digital platforms, your website can also become a virtual store in a wider arena of digital market space. You can publish your services online, sell them online and realize profits online; the extent of your success will essentially depend on how you perceive your website and represent your core strengths through it. We at CompuGeeks have all the expertise and time-tested capabilities to envision and implement your ideas with a contemporary approach and latest website designing techniques. Websites are broadly classified into static and dynamic types; you are given the option to make your choice based on your business and the kind of anticipated user engagement. Static websites are designed in a customized manner and there is little scope to make changes at the user end once the final design is delivered. On the other hand, dynamic websites are also called as content management platforms where customers and end-users can easily log in to the admin area and edit, modify, delete and upload new content pages. The design elements are also flexible for you to make necessary changes. Technologies used for various web design functions would include HTML, PHP and .Net, they cover the basic structural development part. To enhance the functionalities applications like JQuery are preferred. Predefined platforms like Word Press, Joomla, Drupal and Majento are appropriately used to design dynamic websites. E-Commerce websites are enhanced with commercial features that enable financial transactions; these are highly dynamic platforms that would need expert knowledge to mange certain functions. 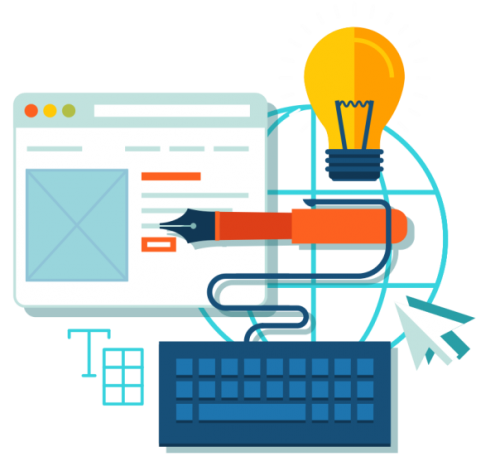 Our role as an expert Web Design company is to primarily help you to understand the nitty-gritty of various aspects and also guide you to arrive at a well informed decision. We have a highly equipped team at work that can handle any complexity in this segment.